For the next two weeks I am on a Toronto Staycation. 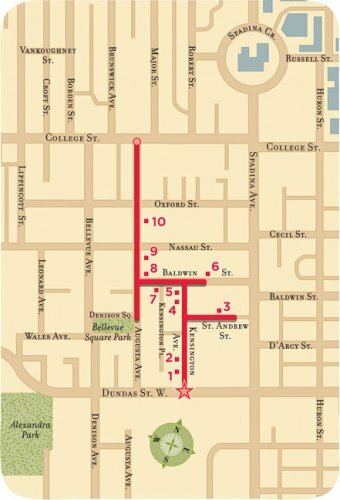 I decided earlier this year that I was going to scale back and do some off the beaten track walking tours, discovering of new neighbourhoods in my hometown and most of all visit Toronto’s finest museums, galleries and attractions at cheap and cheerful pricing. Before I start on the Essentials of a Staycation, let me tell you how great it is to wake up in my own home, make my own hearty breakfast with tea and being able to lounge a bit before heading out. I like the feeling of not having to rush and just moving slow after a year of work where I am run off my feet. I came home a short while ago and warmed up some spaghetti and meatballs I had made last night with a glass of wine. It’s a good life! Now onto the Staycation Essentials. I purchased three essentials which I used today to the fullest. The three pieces I encourage you to pick up are the City Walks: Toronto, a TORONTO CityPASS and the Moleskine City Notebook: Toronto. This deck of cards comes complete with detailed maps and insider information. REVIEW: I want to be on my feet and walking for the bulk of the next few weeks in Toronto. There are so many neighbourhoods I want to explore and get to know a little better. 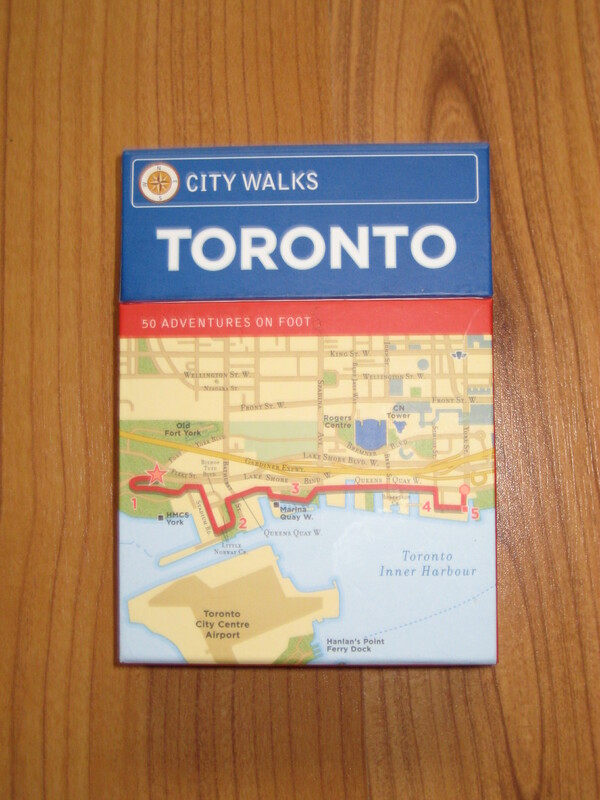 The ‘City Walks: Toronto 50 Adventures on Foot’ is the perfect for my needs. The cards are a perfect size to slide into my Moleskine and to refer to quickly as I am walking. 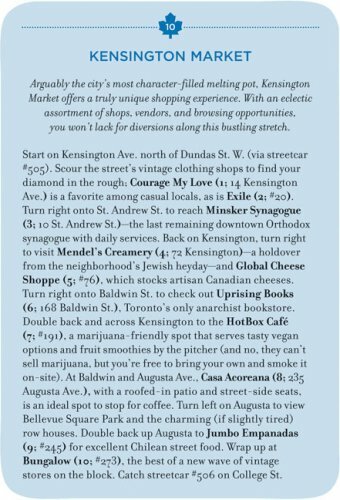 Sure TTC (transit maps) are okay but you want quick tips in an easily digestible fashion, The ‘City Walks: Toronto 50 Adventures on Foot’ is your ally and a nice compliment to the TORONTO CityPASS. The CityPASS will put you in key neighbourhoods and the ‘City Walks: Toronto 50 Adventures on Foot’ will guide you to explore further into the attraction’s neighbourhood. Toronto CityPASS is a booklet of admission tickets to Toronto’s 5 must-see attractions at 43% off the combined admission price. Save US$ 46.42 per adult and US$ 34.23 per youth, ages 4-12. 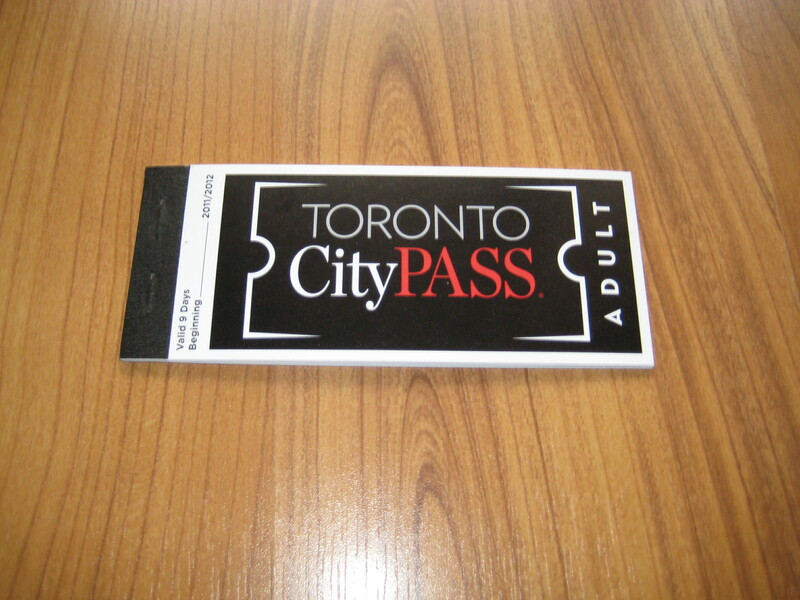 CityPASS booklets are valid for nine consecutive days beginning with the first day of use. Booklets include one-time admission tickets, detailed attraction information, coupons and a map. REVIEW: So as you can see – a really neat and comprehensive way to see a city by using a CityPASS. Plus offering and amazing value for the budget friendly traveler like me. Speaking to what I mentioned earlier in this post – by using a CityPASS you are introduced to not only the best in cultural activities and exhibits but you can also venture out to off the beaten path jaunts that you wouldn’t necessarily would have been exposed to. The element of surprise whilst travelling makes me happy. I am planning on visiting the Royal Ontario Museum, Casa Loma and the CN Tower using my TORONTO CityPASS in the next 2 weeks. Attractions I have not visited in years and they are in my own city! the pocket-sized pad to accompany new urban lifestyles. The City Notebook reflects the individual lifestyles of people who are independent and free-thinking. People who live their lives at a fast pace, always connected, but who can relax and enjoy themselves; people who are creative, and selective in their tastes. The City Notebook is a perfect companion for those exploring the magic of the city. information, and update it for your next visit. three bookmarks in different colors. 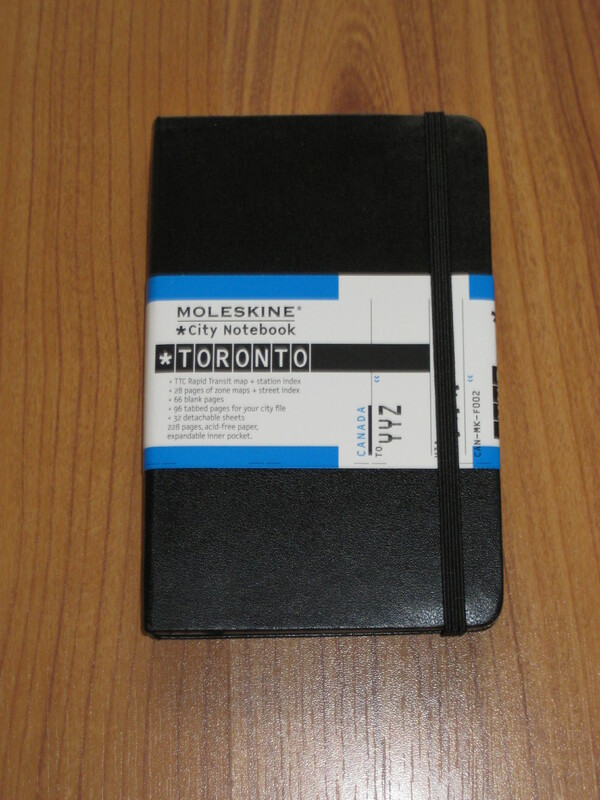 REVIEW: I own quite a few Moleskine notebooks but this City Notebook for my fair city of Toronto is a godsend. I have a Smartphone but I’m pretty old school. I like being able to look up addresses in a notebook, I like to write down by hand my thoughts, experiences and most importantly write down ideas to follow up on when I get home. The compact ability of the Moleskine City Notebook is also helpful. I don’t want to be carting around a mega backpack in my own city so being able to pop in a lil notebook with a pen is all I need. The maps are detailed and up to date. If you don’t want to look like a tourist in your own city, the map sizes are perfect. For visitors this notebook is for you. You won’t look like you have a sign that says ‘rob me’ with this discreet notebook. The 96 page archive with 12 tabs, 76 blank pages, 32 removable sheets for loose notes, 12 translucent sticky sheets to overlay and reposition are the luxe elements to this notebook. When I am at home I like to dump all of my pieces of papers and notes on the floor and to provide my thoughts with some sense of order. When I’m on the road this notebook has helped in offering me some OCD comfort. Everything has a place in this notebook and the pages are so soothing especially when you want to capture all of your thoughts before they are whisked away in the romance of a city moment. If you are a newbie traveller or a seasoned one like me, Moleskine City Notebook for Toronto is what you need as part of your toolkit to keep your organized, creatively stimulated and focused on the next destination to be conquered. 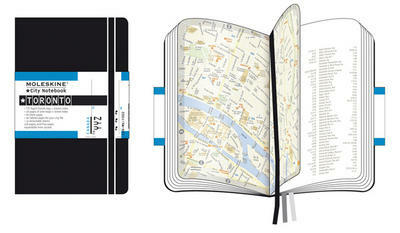 Check out Moleskine’s other awesome City Notebooks! This entry was posted in Uncategorized and tagged chronicle books, City Walks: Toronto, citypass, moleskine, Moleskine City Notebook: Toronto, real estate, staycation essentials, toronto cityPASS, toronto tourism, travel, travel toronto on November 11, 2012 by thirtyfourflavours.